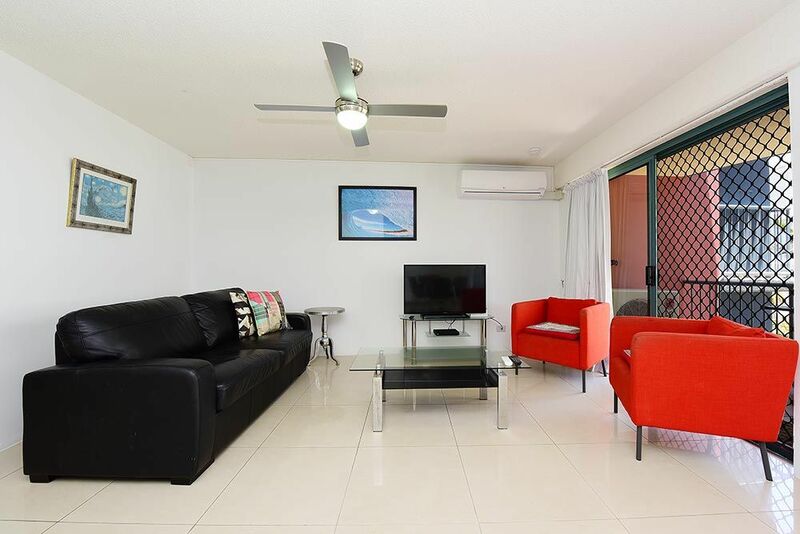 Relax in this contemporary and spacious 2 bedroom, air-conditioned apartment located on level 2 of Lindomare Apartments. 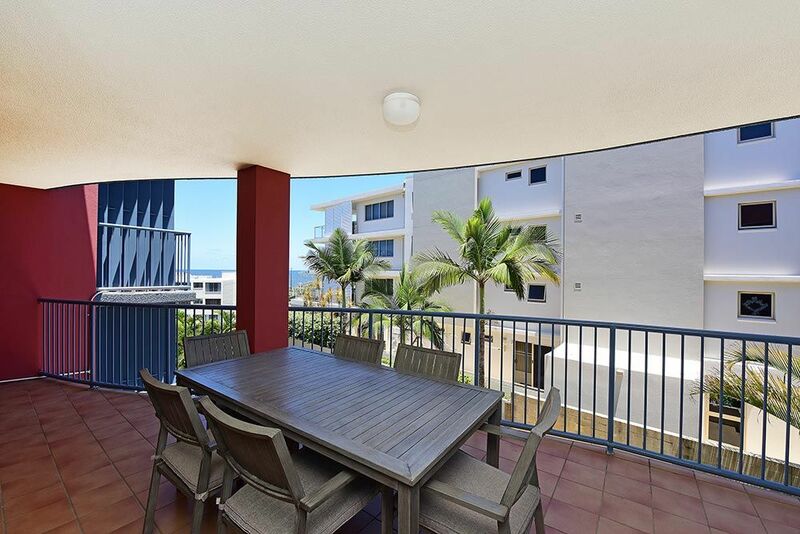 Renovated smartly throughout, you will enjoy partial ocean views from the spacious balcony which is complete with private BBQ and outdoor furniture for your relaxation and comfort. 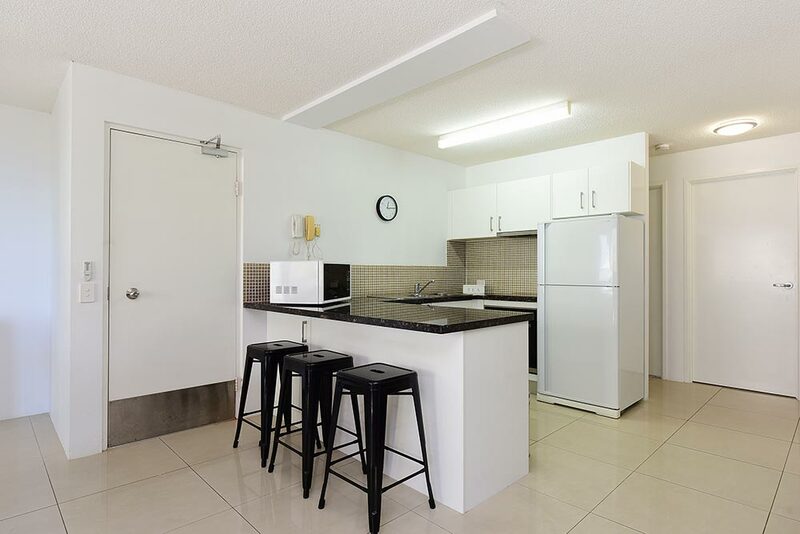 A sleek, fully renovated kitchen with dishwasher, microwave, large capacity fridge, stovetop, oven, all culinary essentials and stone bench with breakfast bar allows for all entertaining and easy meal preparation. This streamlined space has an open dining and living area, furnished with leather lounge and flatscreen television for easy indulgence. 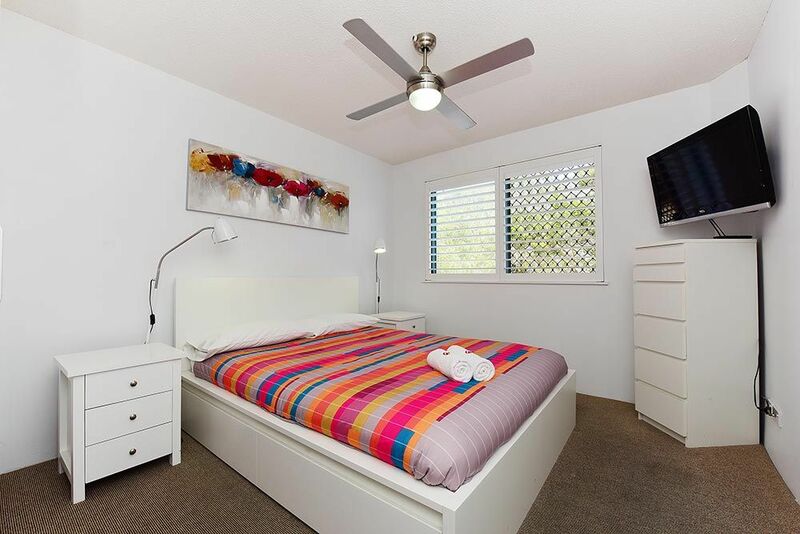 It’s master bedroom is fresh and bright with Queen bed and En suite, large flat screen television, ceiling fan, built in wardrobes and under bed storage. Privacy, light and sea breezes can be adjusted to your comfort with the streamlined addition of Plantation shutters. 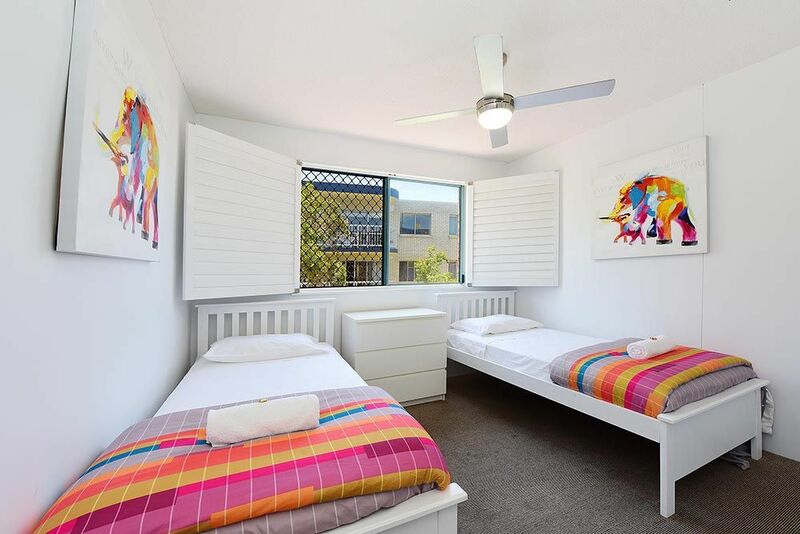 Dressed in fresh and bright colours, the second bedroom with twin single beds, built in wardrobes and ceiling fan, is spacious for the comfort of guests. 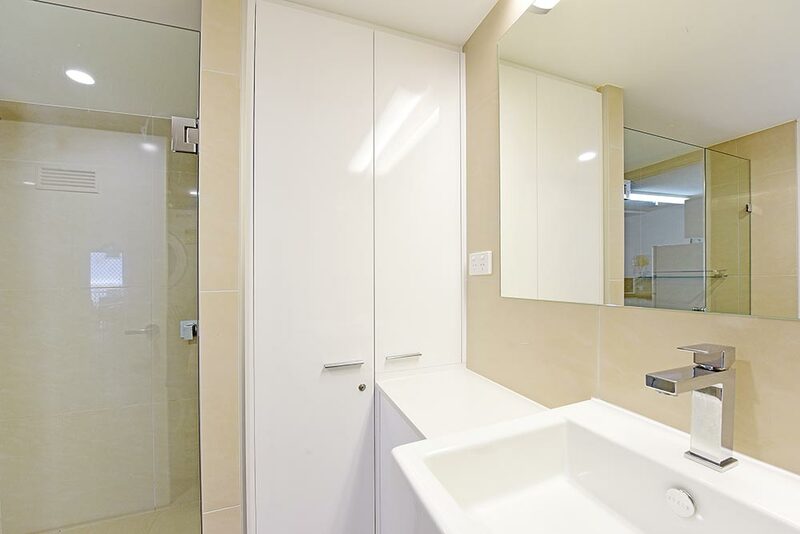 Renovated as smartly as the kitchen, the glossy, smooth lines of the bathroom area are complemented by a huge, step in shower recess with rain shower head and stone top vanity with wash basin. 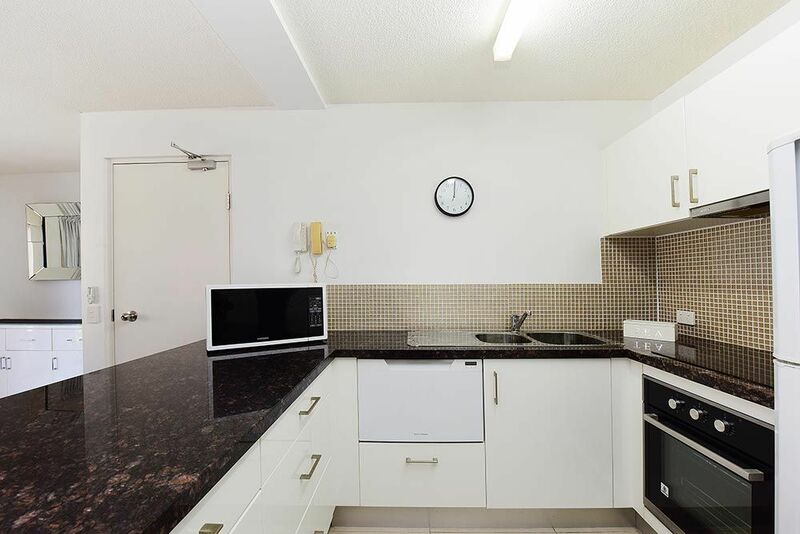 Full laundry facilities including front loader, tumble dryer and large laundry tub complete this space. An iron, ironing board and clothes airer are provided for your use. 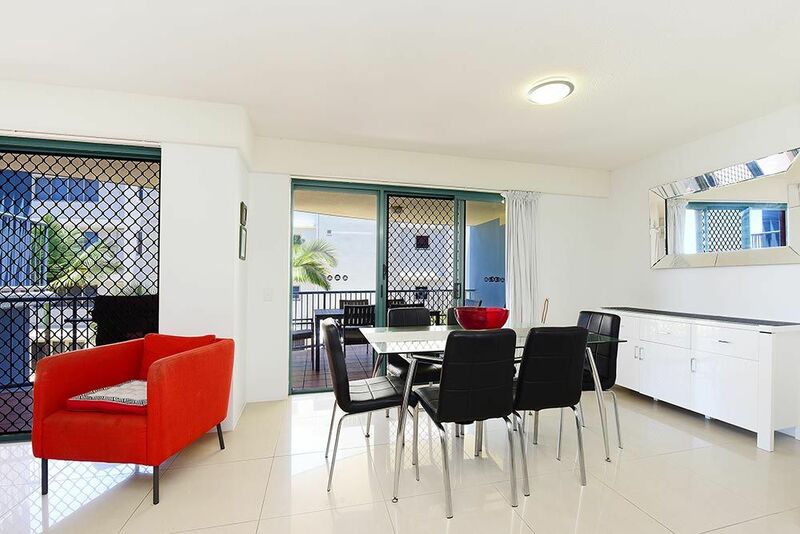 This beachside getaway has the capacity for one extra guest, with use of the leather sofa bed in the living space and has a secure off street garage space accessed from the upper entry driveway to the apartments.